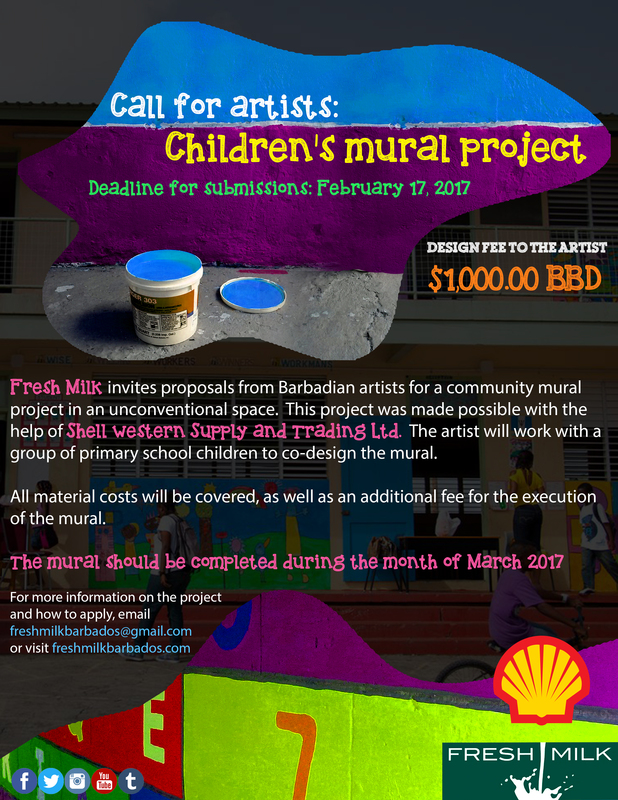 Fresh Milk invites proposals from Barbadian artists for a community mural project in an unconventional space. This project was made possible with the help of Shell Western Supply and Trading Ltd. Fresh Milk and the selected artist will host working sessions with a group of primary school students, facilitating arts education and acting as an inclusive way for the mural to be co-designed, so that the students feel connected to the process and final image. All material costs will be covered, as well as an additional fee for the execution of the mural. The mural should be completed during the month of March 2017.